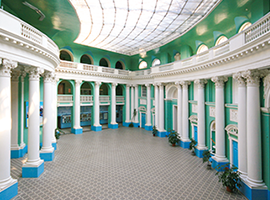 Faculty of Chemistry was founded in 1961 on the basis of the faculty of Biology and Chemistry at Moscow State Pedagogical Institute n.a. V.I. Lenin. An important part in the creation of a new faculty has played V.A. Izmailsky, PhD (doctor of chemical sciences), professor, leading scientist in the field of chemistry of colorants and one of the founders of the mesomerism theory. In September 2011 our faculty celebrated its 50th anniversary. 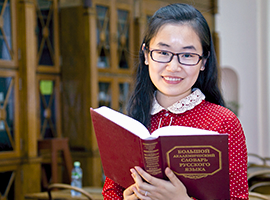 During half a century the faculty has trained more than 2500 specialists, many of them work at schools in all regions of Russia, at our university and at other educational establishments. In 1991 at the faculty of chemistry the area of studies «Chemistry with additional specialization in psychology» was established where specialists are trained that are capable of working both as a teacher of chemistry as well as a school psychologist. In 1996 a new area of studies «Chemistry with additional specialization in ecology» was established which is designed to train highly qualified specialists in the field of ecology. In 2006 specialties «Chemistry with specialization in organic chemistry» and «Chemistry with specialization in environmental education and training in the process of teaching chemistry» were established. In 2008 specialties «Chemistry with specialization in Forensic Chemistry» and «Chemistry with specialization in chemical expertise of food» was established. It’s the first time in fifty years of faculty history that since June 2010 our faculty has been training bachelor students. This year the following areas of studies were opened: «Fundamental and applied chemistry» (specialty) and «Pedagogical education, majors in chemistry and ecology» (bachelor degree, 5 years). Fundamental and applied chemistry (specialty, duration of studies — 5 years). At the Faculty of Chemistry Master’s Program in Chemistry with specialization in «Chemical examination of food» is established (full-time education, duration of studies — 2 years). 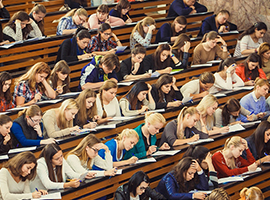 This interaction provides professional education quality improvement, promotes designing new programs and methods that develop and unite advanced scientific researches in chemistry and educational process, and favours the development of experimental base of the educational process at Moscow State Pedagogical University with the usage of modern technologies.